The number of businesses that have closed their final salary pension to all of their staff has jumped by a third, the National Association of Pension Funds (NAPF) revealed today. Its latest Annual Survey found that almost a quarter (23%) of pension schemes are now shut to both new staff and to future contributions from people who were already in the pension. This is up by a third from 17% in 2010, and was just 3% in 2008. The survey shows more change is inevitable. Among those pension schemes which are closed to new staff but still open to existing staff, 30% expect to close the pension altogether in the next five years. They plan to then move staff into a ‘defined contribution’ pension, where the employer is exposed to much less risk. Meanwhile, one in ten (11%) say they will keep the existing defined benefit pension scheme structure, but will make it less generous. This could include changing accrual rates or moving from a final salary to a career average structure. The findings reflect an escalation in the decline of final salary (or ‘defined benefit’) pensions, as schemes that have already closed to new joiners shift their focus to existing members. Final salary pensions have been increasingly strained by rising longevity, poor investment results, and red tape. Employers have been closing these pensions to try to manage risks and mounting costs. Only 19% of private sector schemes are now open to new joiners, compared with 88% ten years ago. “The private sector is seeing a seismic shift in its pensions, and more change is certain. Final salary deals are coming off the table and are either being watered-down or replaced altogether. 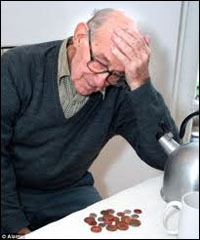 “Demographic and financial pressures mean businesses are struggling to afford these pensions. Many firms are trying to get a grip on the risks and rising costs by freezing the fund to both new and existing staff. “While it is difficult to be exact, we estimate up to a quarter of a million have been moved out of their final salary pension over the past three years. * The ‘flight to safety’ away from riskier assets has continued, mostly driven by fewer assets being held in equities, and in particular UK equities. Last year 46% of defined benefit pension fund assets were invested in equities, this year it had fallen to 42%. The proportion of total assets invested in UK equities fell sharply from 17.1% in 2010 to 12.2% in 2011. * Despite the economic downturn, total contributions from both employers and employees into ‘defined contribution’ pensions have remained stable at around 12% over the past five years. * Given squeezed household incomes and debate on public sector pension reform, the survey asked local government pension funds about people choosing to leave their pension. 39% said that opt-out rates had increased this year. * Strong governance structures are vital in ensuring savers get the best pension possible. Half (49%) of all responding contract-based defined-contribution schemes have set up some form of governance committee. In addition, 18% of respondents said they were planning to set up a management committee, up from 11% last year. * A third (33%) of trustee boards were chaired by an independent or professional trustee, showing the strong recognition of the importance of their role, and the willingness of trustees to get professionals to guide them through these difficult times.